Employees of Bobcat Company in Gwinner, N.D., selected Hospice of the Red River Valley as the recipient of the company’s employee giving campaign. A check for more than $16,000 was presented to Hospice to support end-of-life care in the region. 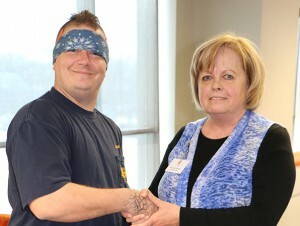 For three weeks, employees raised money through bake sales, silent auctions, raffles and employee gifts. A special thank you to members of United Steelworkers Local 560 for their vital role in the fundraiser. 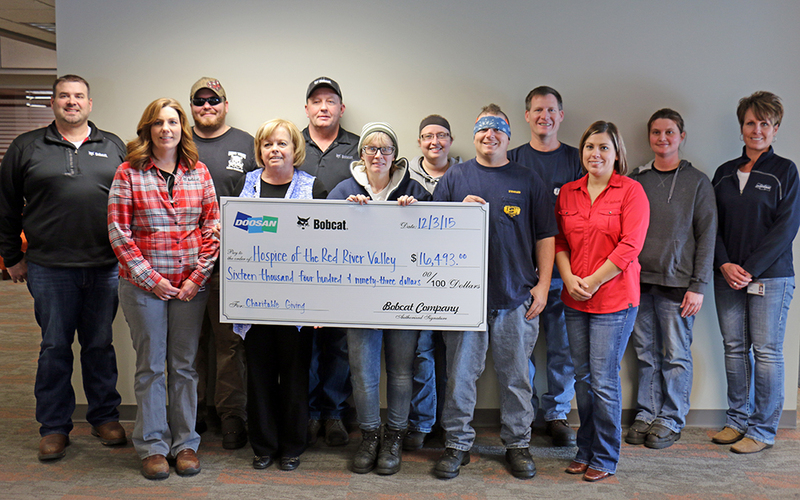 “Our thanks to the employees of Bobcat for their commitment to ensuring hospice care continues long into the future,” said Jane Bartholomay, development officer at Hospice of the Red River Valley. The donation will be used to provide compassionate end-of-life care to those in Gwinner, Lisbon and the surrounding communities. To learn more about making a gift to Hospice, call (800) 237-4629 and ask to speak with a development officer.